As the first few weeks seem to be taken up with feeding and sleeping, I am managing to crochet in between feeds. 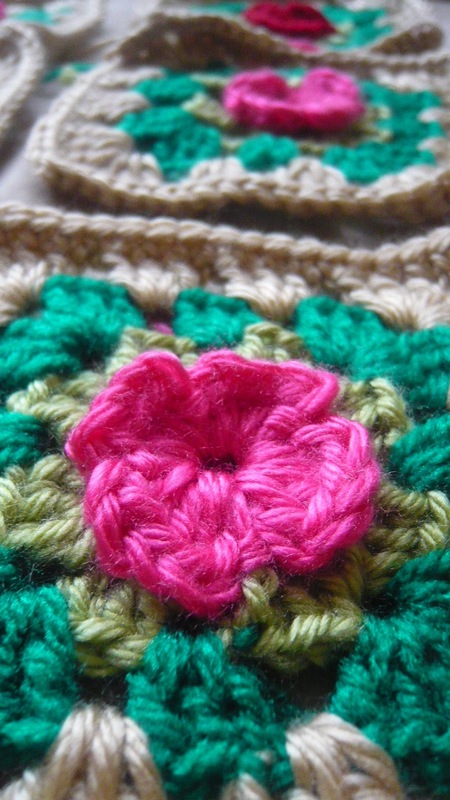 I saw the "rose" pattern in a book and thought it would be apt to make a cushion named after my little girl. 16 Granny Squares, comprising of Shell Stitches, with a Single Stitch border. Crochet together the squares with a repetition of Slip Stitches (at the back)... and voila', job done!